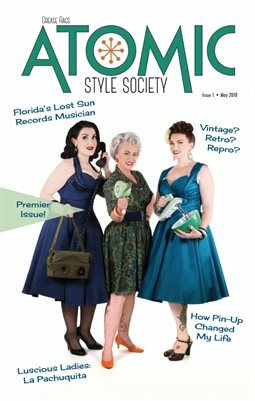 Atomic Style Society Magazine is a retro lifestyle magazine. This publication is written by and for those who love all things vintage. Entertainment and fashion icons, recipes, event information, book and movie reviews, Americana, puzzles, cartoons, history, makeup, music, pinup girls! Everything from astronauts to ZuZu Chartreuse, we will have it all!